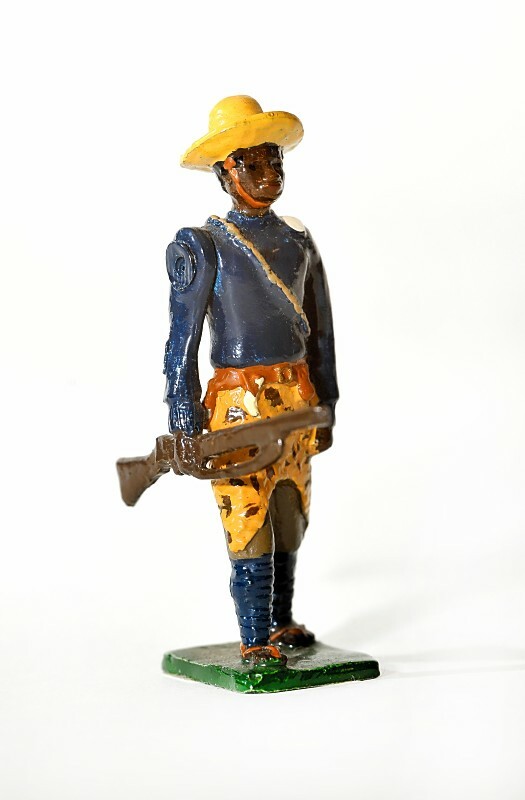 For most of the regiment’s life from its formation in 1902 until Britain’s Central and East African colonies became independent in the early 1960s, the regular peacetime establishment of the King’s African Rifles was six battalions. Further battalions were raised at times of war or civil unrest. This was often done by using a company from one battalion as a cadre for forming a new battalion. The new battalion was then numbered after its parent battalion. So a new battalion raised from a company cadre of the 6th (Tanganyika Territory) Battalion would become 2/6th (TT) Battalion. During the Second World War the numbering of offspring battalions was simplified so 2/6th Battalion became 26th Battalion. 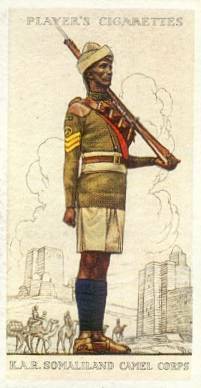 The six regular battalions were each associated with one of Britain’s Central or East African colonies. At independence each of these country’s KAR battalions became the nucleus for its newly independent army. 1st (Nyasaland) Battalion KAR – also known as 1st (Central African) Battalion – formed from the earlier Central African Rifles; became the Malawi Rifles on independence in 1964. 2nd (Nyasaland) Battalion KAR – also known as 2nd (Central African) Battalion – also formed from the earlier Central African Rifles; became 2nd Battalion Northern Rhodesia Regiment in 1962 and subsequently the Zambia Regiment on independence. 3rd (East African) Battalion KAR – later known as 3rd (Kenya) Battalion – formed from the earlier East African Rifles; became 1st Battalion Kenya Rifles on independence in 1963. 4th (Uganda) Battalion KAR – formed from the African Companies of the earlier Uganda Rifles; became the basis for the Uganda army on independence in 1962. 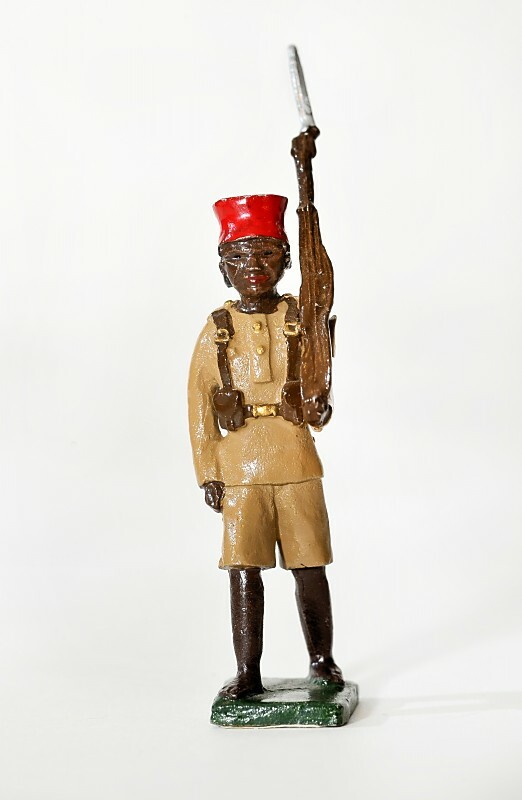 5th (Uganda) Battalion KAR – also known before the First World War as 5th (Indian) Battalion – the senior KAR Battalion as it was the first to be raised as the Indian contingent of the earlier Uganda Rifles – disbanded in 1904, reformed in 1916, disbanded again in 1925, reformed again in 1930; became 2nd Battalion Kenya Rifles on independence. 6th (Somaliland) Battalion KAR, disbanded in 1910, reformed as 6th Battalion (Tanganyika Territory) KAR in 1917, in Britain’s newly-acquired Tanganyika Territory (formerly German East Africa, now Tanzania). Many askari from von Lettow-Vorbeck’s German Schutztruppe re-enlisted in the KAR. Became the Tanganyika Rifles on independence in 1961. 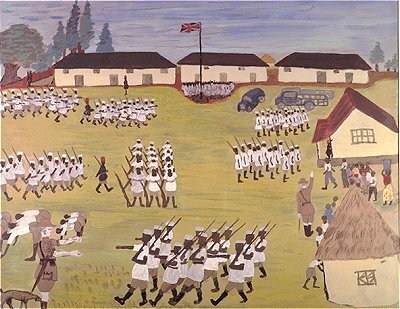 26th Battalion KAR, which became 2nd Battalion Tanganyika Rifles on independence. 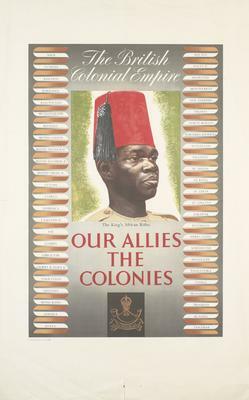 For much of the regiment’s history, the name “King’s African Rifles” was also used to describe the British East African Land Forces Command – and so a number of other combat and support units were sometimes described as being part of the KAR, including the East African Armoured Car Regiment and the Somaliland Camel Corps (SCC). The SCC were formed in March 1914 from an earlier Camel Constabulary, in recognition of the usefulness of camels in the arid Somali hinterland. The SCC served with the KAR in campaigns against the Mad Mullah and continued to police the Somaliland territory between the First and Second World Wars until it was overwhelmed after a spirited defence by the Italian East African offensive in August 1940. The SCC was re-formed and mechanised during the British campaign to recapture Somaliland twelve months later in 1941, but was permanently disbanded in 1943 after a series of mutinies. Through its life the SCC varied in strength between 400 and 700 Askari and 14 to 20 white British officers. 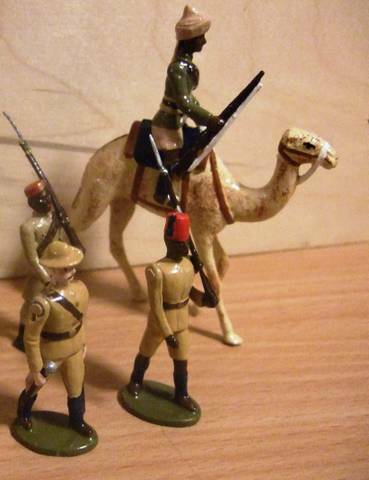 No old toy soldier maker made a figure of the Somaliland Camel Corps in their own era, however modern model maker Dorset Soldiers made the figure shown in the picture above for me about ten years ago – with an officer and askari from the KAR in the foreground also by Dorset Soldiers and an unknown figure in the background. This entry was posted in KAR History, Modern Models by askari373. Bookmark the permalink.